Google search jinn possession or ruqyah healing and your bombarded with websites of rogue practitioners charging money for innovated practices of Ruqyah. There are websites set up , claiming to offer sunnah healing also training for anyone to become a ruqyah practitioner. On further investigation these narcissistic rogues have multiple businesses and other questionable qualifications. Rogue Ruqies can cause serious problems to their clients, sometimes as serious as death (BBC 2012). If someone is charging money to recite Quran for you, sell a Quran tape/cd to play of ‘protection verses’, spray water or vinegar over you, tap you with a stick, shout at you to expel the jinn! then he/she is probably a fake sheikh! However , there are knowledgeable people out there making it their mission to educate vulnerable people on the evils of this shirk (association with other than Allah swt). 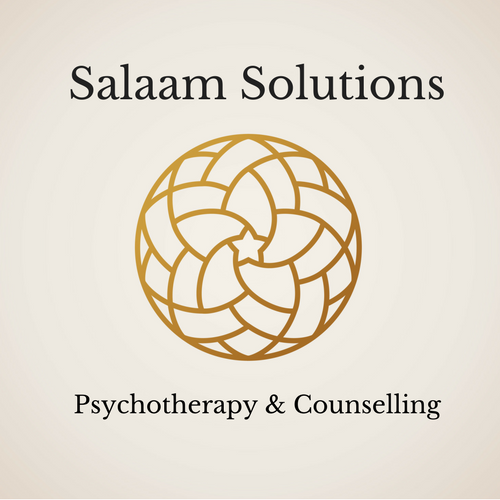 If you feel vulnerable, frightened or exposed to Magic, evil eye, hatred or evil Jinn then read the information below on protection and seek professional guidance and support from a registered psychotherapist, mental health practitioner, counsellor, GP (physical), or holistic therapist (Hijama/cupping). Below is reference to a discussion on Ruqyah and the warning signs of these fake sheikhs. The common people think that the reciter has a special healing power, thereby turning their minds from the True Healer and His words to the one who recites them. This is a clear source of shirk. We have no reports of any of the sahabah and salaf devoting their time to offer this service. This makes it a bid’ah in the Din. When the devils realize the common people’s fascination by a particular person, they do things to cause deviation to him and them. This is clearly expressed in the above discussion that took place between Ibn Mas’ud and his wife. When a reciter finds the people gathering at his door seeking his help, he would imagine that he has a high status before Allah, and would be drawn into vanity and conceit. Most of the reciters have a poor knowledge of the Sunnah, which makes them claim or do things that have no basis in Islam. Have Trust in Allah swt and his Given Tools for Healing; the Quran and Sunnah. Avoid unlawful places and situations that can lead to what is forbidden, for example isolating himself with a female/male , etc. Practice and propagate the religion of Allah. seek knowledge of Islam and other world affairs, learn, practice and teach. Give optional charity and help others, even if it is with a smile. Previous:5 Reminders for the Troubled Muslim!